Everyone can take part in Loud Shirt Day 2019; it’s really simple and very fun! 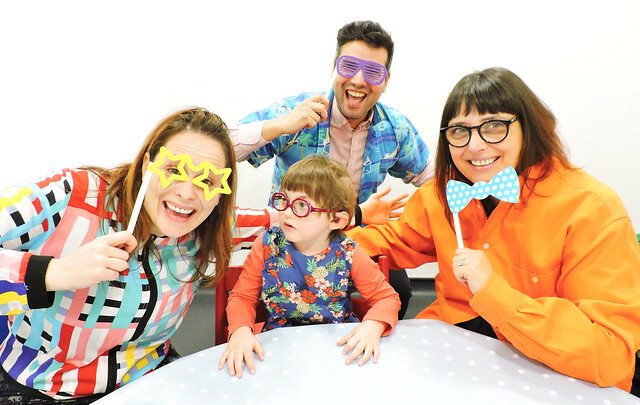 On Friday 7th June 2019 we’re asking you to wear your loudest shirt or t-shirt, and donate to AVUK to help create a sound future for deaf children. Plan your Loud Shirt Day. Who do you want to take part, and how? You could think about organising an event to tie in to the day - a cake sale perhaps, or a 'loudest shirt' competition. Be as creative and as loud as you can. Tell everyone you know about it and suggest they host their own Loud Shirt Day. GET LOUD! On the 7th June 2019 get your loudest shirts on, remember to collect the donations and have fun! Send in your money. You can do this either online via our donate page or by cheque. For cheques, please make them payable to Auditory Verbal UK and send them to us at Auditory Verbal UK, Bignell Park Barns, Chesterton, Bicester, OX26 1TD. Don’t forget to include a note about who you are so we can thank you properly! Get your friends and family to sponsor you. Click here to set up your very own fundraising page, set a target and share away. Make sure you share photos of you getting loud on social media for everyone to see, tagging #LOUDshirtday. Share a photograph of you getting loud on social media, tagging #LOUDshirtday, and make a donation! Please email [email protected] if you'd like to discuss your ideas.